Twitter started verifying users back in 2009, largely to combat the problem of impostor accounts and to establish the authenticity of key individuals and brands on the platform. 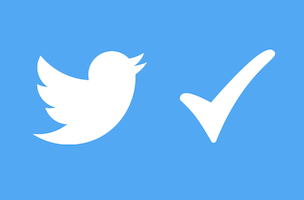 It’s a fairly simple system that (bar one or two hiccups) works: any account with a blue verified badge on their Twitter profile is a verified account. This week Twitter launched two new features for verified users: notifications when another verified user follows them, plus the option to filter their followers so only verified users are visible on iOS. Twitter says they’ve done this to “help verified users easily connect with each other” but reading between the lines it seems that the real, hidden benefit is filtering out the proles – i.e., you and I. Today we’re beginning to roll out two new features to verified users on the Twitter mobile apps: alerts when another verified user follows them on both the Android and iPhone apps and the option to view their verified followers from their own profile on Twitter for iOS only. We hope these two features will help verified users easily connect with each other so we can continue to deliver those only-on-Twitter conversations to users. It’s totally understandable. Celebrities are really, really busy, and who wants to live like common people?